Easter Weekend at Mt Macedon | 15,000kms of Food! First trip out of the city was to Mt Macedon, located 80kms out of Melbourne. Tagged along to my boyfriends annual trip with his mates. Drove straight there without stopping anywhere on the way, so I can’t comment on the coffee or toilet facilities of any of the towns nearby. We were lucky to be staying at the fabulous Sky House which was exactly as beautiful and idyllic as described in the website. It’s up on Mt Macedon and has a beautiful view of the valley below and Hanging Rock. The only tricky thing – finding the house up the mountain! Google maps does not work for this place! The weekend was leisurely and we spent a day or two exploring the nearby attractions (Hanging Rock) and towns (Woodend & Trentham). Hanging Rock was as expected with nice grounds to explore, walking tracks, and a quaint cafe to have tea and cake. I wasn’t terribly amused by Hanging Rock but none the less, it was nice to be there on a sunny day. Woodend was like the Toorak of the northwest! Saw luxury cars driving around (a Maserati and a Porsche). The main street has nice little shops for trinkets and antiques, and a few cafes. The big highlight of Woodend for me was the Holgate Brewery which had fantastic beer with a nice small town feel to it. Trentham is a relatively small town, with a few shops and the delightful Cosmopolitan Hotel. The pub burnt down (a year ago?) and since then, they’ve been having a makeshift pub out in the garden and stables. The food is good, but it’s the atmosphere that makes it. Sunshine, live band, good food – awesome! We also stopped by Kyneton, but later discovered that we were not in the main street. Instead we were where the locals hung out. It was unspectacular, but we did stumble upon a few antique stores which were full of old furniture (if you like that kind of thing). I’d love to go back to the house and Woodend, definitely would recommend it! 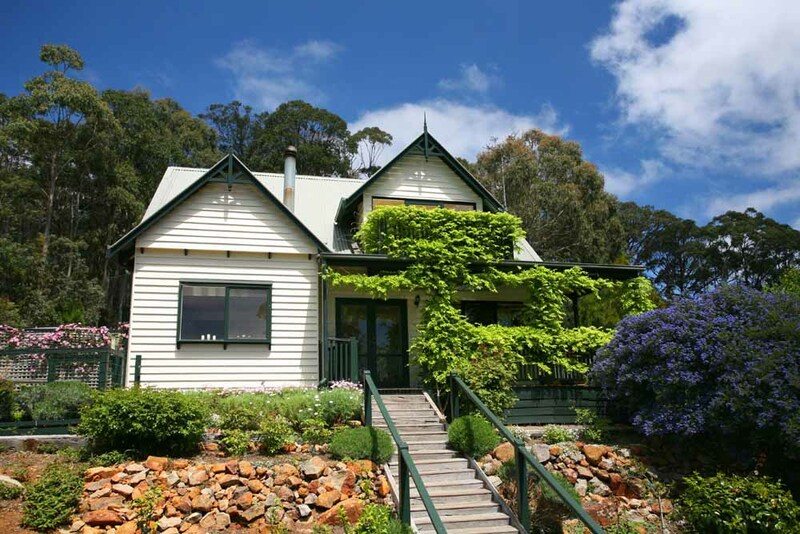 you must visit the wineries next time – Mt Macedon & Hanging Rock wineries have some great reds…mmm. You didn’t mention the wonderful nachos that were prepared at Skyhouse!